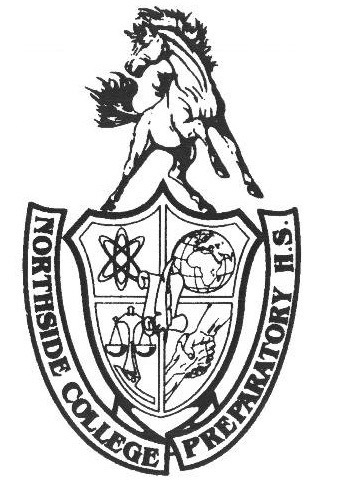 After a hard week of SAT testing, Northside’s juniors went to three different locations across the city to participate in educational activities. The three activities included a program from the American Association for Cancer Research (AARC), testing water qualities at the Peggy Notebaert museum, and a workshop at the Illinois Holocaust Museum. The day was organized so that underclassman could take the PSAT in peace, without disruptive upperclassmen in the hallways. At the AARC’s “The Conquest of Cancer and the Next Generation of Cancer Researchers” program, students went to a cancer research convention at McCormick place. “We walked into a large conference hall, filled with well over one hundred students from schools across the city,” said Kenneth Larson, Adv 902. “Throughout the morning, we listened to fascinating lectures from a wide variety of scientists and researchers, each covering a unique aspect of cancer research. One of these lectures, for example, examined the various substances and conditions that can heighten one's risk for cancer.” The talks emphasized that students can still reach out and make valuable connections to others even at a young age, and encouraged networking. “Even though I do not necessarily want to be a scientist, I feel like the convention still provided me with valuable skills I can use in my career and later in life,” said Larson. The event was a special program for high school students, organized by the association. The final group went to the Peggy Notebaert museum to investigate water quality at two different ponds. They collected the water and brought it back to the museum, where they used various chemicals and procedures to test the water for certain properties. Afterwards, the students were free to roam the museum, visiting exhibits like the Micole Birdwalk, Judy Istock Butterfly Haven, and Birds of Paradise exhibit. “My favorite thing that I saw was probably a walking path with various 3D habitats and ecosystems surrounding it,” said Nathan Chau, Adv 911. The Peggy Notebaert museum focuses on nature awareness and preservation, and has many exhibits about habitats, plant life, and wildlife. “I have gone [to the Peggy Notebaert] before as a kid, so I still remembered most of the things that were there, but this time it was more of a learning experience because I could remember more about the things I saw.” The group was allotted a little under an hour to explore the museum, but that time range is on the small side when in such a fascinating museum. “I would’ve liked it more if we had more time to look around and see everything the museum had to offer,” said Chau. Most of the students returned to the school by noon for an off-campus lunch, but the Holocaust museum visitors had some extra time away from the school, returning an hour later.